TOKYO – December 13th, 2017 — ispace, a Japan-based private lunar exploration company, announced today that it has raised $90.2 million* in Series A funding—not only the largest-ever Series A raised in Japan, but also the largest to date in the global commercial space sector (as of Dec. 13th, 2017). The financing will be used to develop a lunar lander and conduct two lunar missions by the end of 2020. The funding was joined by Innovation Network Corporation of Japan; Development Bank of Japan; Tokyo Broadcasting System; Konica Minolta; Shimizu; Suzuki Motor; SPARX; Dentsu; Real Tech Fund; KDDI; Japan Airlines; and Toppan Printing. ispace is commercializing lunar resource development to extend human presence beyond Earth. The company currently manages team HAKUTO, the sole Japanese team participating in the Google Lunar XPRIZE. With this new funding, ispace will continue to develop its revolutionary technology and spearhead two exploration missions to the Moon after the HAKUTO mission. ispace has begun the development of its small, agile and modular lunar lander to provide a regular transportation service to the Moon. Mission 1, planned for the fourth quarter of 2019, will inject the lander into the lunar orbit to conduct observation of the lunar surface. Mission 2, planned for the fourth quarter of 2020, will see the lander attempt a soft landing on the Moon, deploying multiple rovers to explore and map the surface. ispace predicts that by 2040, the Moon would be inhabited by 1,000 people, with over 10,000 visitors every year. Infrastructure on the surface will be centered around the Moon’s water resources, supported by a variety of industries including construction, manufacturing, steel, energy, communications, transportation, agriculture, medicine and tourism. ispace will spearhead this development by providing access to the lunar surface and creating a world where the Earth and the Moon are one ecosystem. Until now, only the government led missions from the USA, Russia and China have successfully landed on the lunar surface. The two missions announced today are the starting point to establish the transportation and resource development technology required to support a water-based space economy. By adopting an agile development process for designing modular spacecraft, ispace will conduct low-cost, high-frequency and flexible space missions. Moreover, ispace’s focus on micro-robotics will reduce the overall mission cost to create more opportunities for launch, thereby accelerating research and development activities around the Moon. 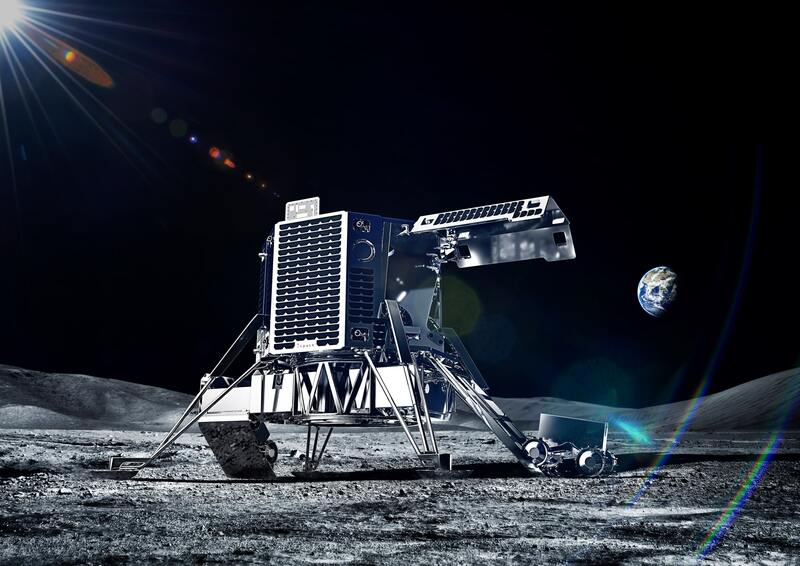 ispace’s lunar lander will be able to accommodate roughly 30kg of payloads. This includes two lunar exploration rovers, also developed by ispace, each of which could install up to 5kg of payloads. ispace will provide transportation service to the Moon for future customers including government agencies, research and academic institutions and private companies. By installing scientific payloads on the lander and rovers, customers will be able to conduct experiments and observations in the lunar orbit and on the lunar surface. ispace will also provide data services with the images and videos captured during the missions, lunar environmental data, lunar resource availability, regolith compositions and high-fidelity 3D topographic mapping of the surroundings, etc. This data could be used for R&D purposes, resource development planning, education and promotional campaigns by private companies. “With this funding, ispace will begin the development of lunar lander to establish a flexible and regular lunar transportation system, and lead the exploration and development of lunar surface through micro-robotic systems,” says Takeshi Hakamada, Founder & CEO of ispace. These new services will help establish the Moon as a new staging ground for cutting-edge initiatives, not only for existing players in the space industry, but also for companies and organizations who are not yet involved with space exploration. By catalyzing the synergy between existing players of the industry and non-space companies, ispace will create new value for the space industry and make space accessible for all.